You may not be planning a beach trip for this coming weekend (brrr! ), but it’s never too early to start scoping out bathing suits. Getting a lay of the land is important to finding the perfect one-piece, but knowing where to look can get overwhelming. To help you on your pursuit for the perfect suit, we’ve rounded up a few of our favorite shopping spots. 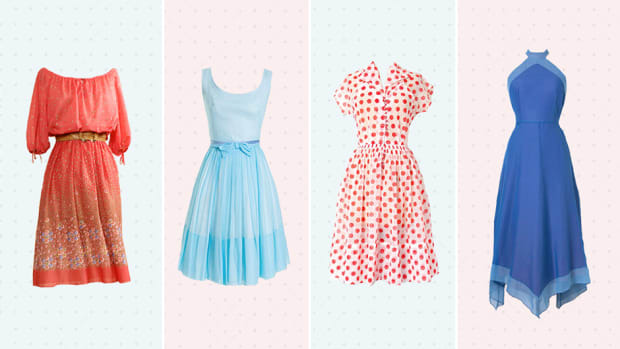 If you’re a retro fashionista at heart, ModCloth’s vintage-inspired bathing suits will be your cup of tea. I think we can all agree that the 1950s were the golden age of swimwear, and ModCloth nails the look. With sweetheart necklines, quirky prints, bright colors, and subtle coverage, these suits have us coming back every spring. 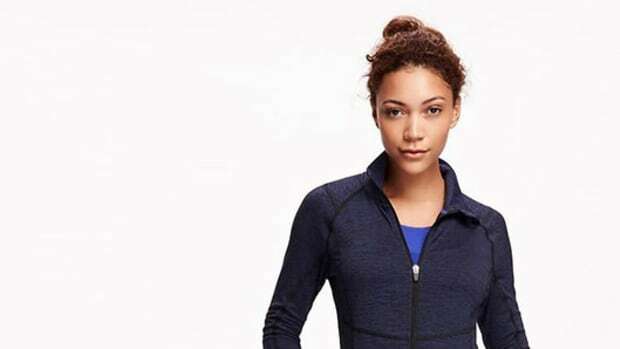 So you’ve searched through every department store’s bathing suit section, and you’re fed up with the utilitarian one-pieces that are more appropriate for the swim team. It may be time to say goodbye to the mall and hello to Jessica Rey swimwear. Jessica Rey offers a variety of feminine one-pieces that come in sweet floral prints and nautical stripes—she also has skirts (that are actually cute and flattering) to match any of the suits. 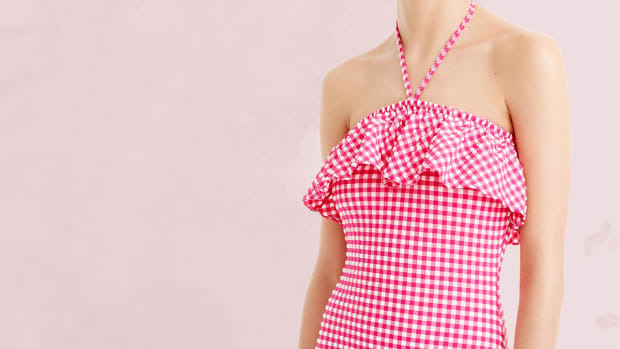 If you like to make just as much of a fashion statement on the beach as you do off, Anthropologie swimwear is your one-stop shop. With an array of gorgeous and hard-to-find brands such as Seafolly and Seea, plus its own in-house line of suits, Anthro is always on the list to check for fresh styles. Wala Swim is the Verily dream: It narrows down the swimsuit market by carefully selecting suits from different brands that truly flatter every body type. With a strong focus on quality and fit, Wala knows that a comfortable and flattered woman is a happy woman. Sign us up. Haven’t heard of Lime Ricki before? Well, you can thank us now. We can’t stop ogling over the bright, youthful, and innovative designs of Lime Ricki’s adorable swimwear. These swimsuits are summer and are perfect for every beach or pool party. For all the classic ladies out there, Boden has the tasteful yet fun swimwear collections you’ve been searching for. With optimal coverage on the legs, rear, and bust, Boden’s swimsuits ensure that you will feel comfortable and cute on the beach. 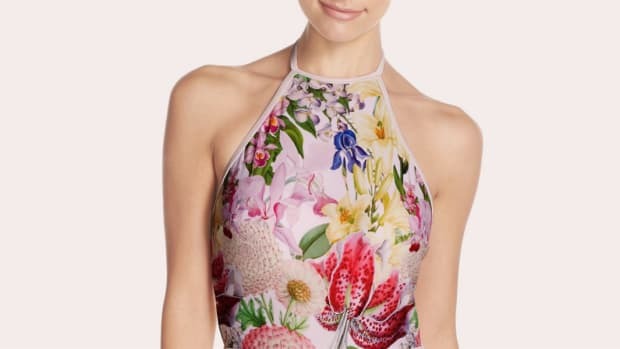 Department stores aren’t usually our first stop, but we have got to admit that Nordstrom’s online store has a vast selection of swimsuits. These designer beauties are high-quality, expertly crafted, and timelessly fashionable, so you won’t have to invest in another one next year (unless you want to, of course). Who says one-pieces have to be boring? Shabby Apple blows away all one-piece stereotypes with its bright, colorful, and quirky suits that offer full coverage. For the sporty girl who wants a little style with her one-piece, we’ve found the spot for you—the Swim Spot, that is. Who knew rash guards and zippers could look so cool? Swim Spot offers cute and durable suits that will keep up with you as you tackle the waves and play beach volleyball all summer long. There’s still plenty of fun in the sun to be had this season.